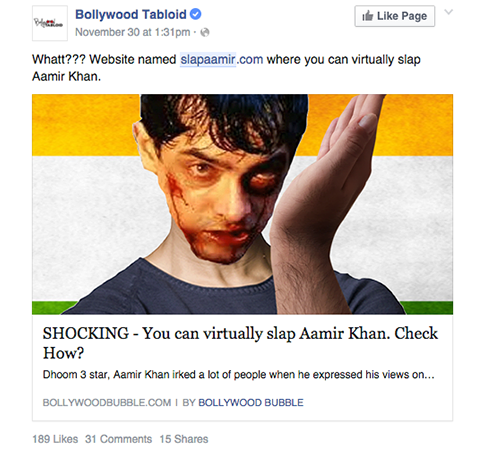 From SlapAamir.com to KissAamir.com, we managed to troll the entire country with Bollywood & Politics in under 36 hours, and here's how we did it. 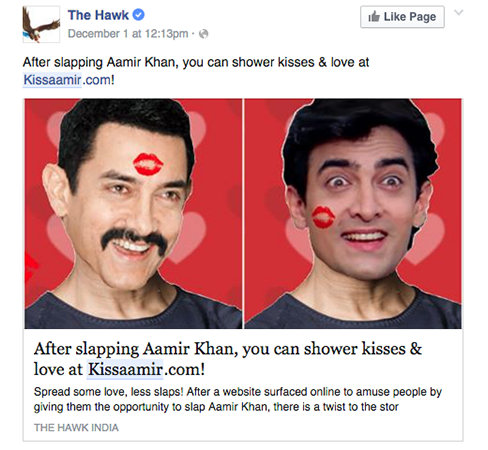 With KissAamir.com, we wanted to spread the message that intolerance can sometimes lead to hatred and violence. 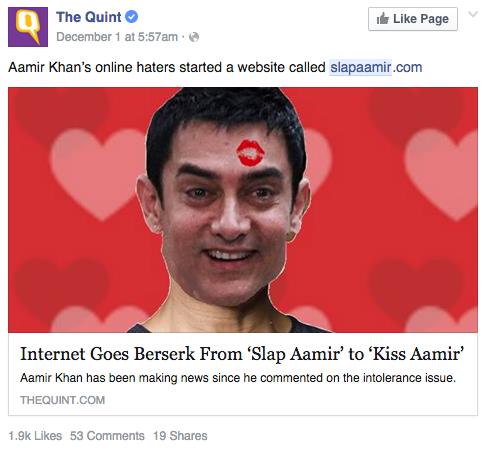 In a country like ours, it's important to spread the message of love and tolerance. 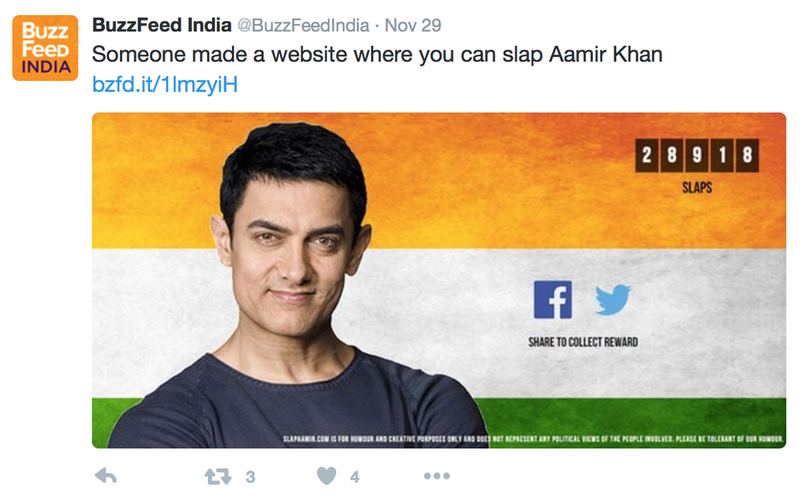 This campaign was probably the truest test of what the nation felt about Aamir Khan at that time. 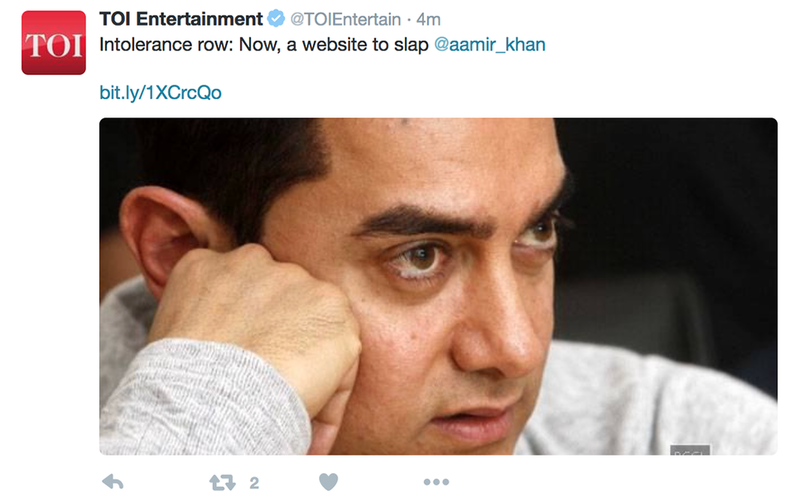 Whether they wanted to slap him or kiss him. 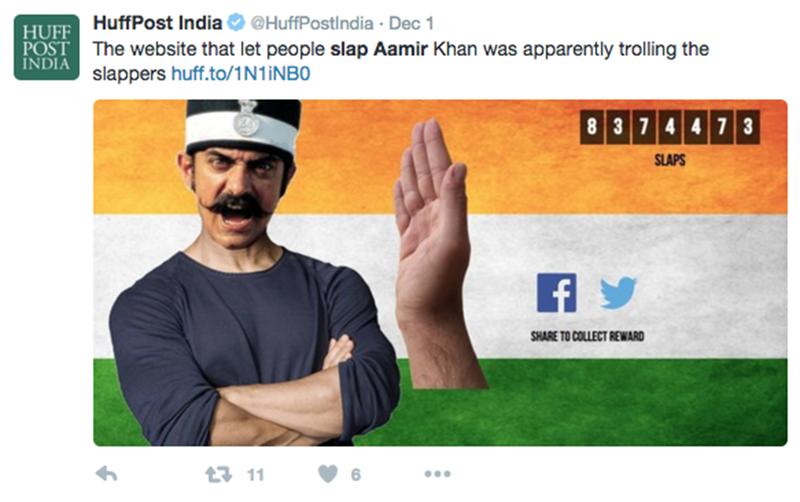 The 2nd phase of the campaign was well received by many, understanding the intention of our approach, while the most ridiculous of them believed we got "hacked"! 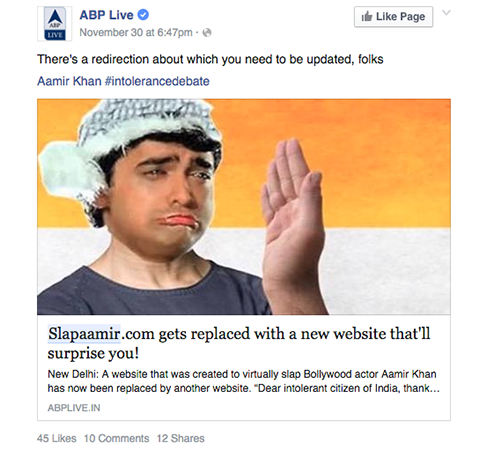 Within 36 hours, both the website had over 1.5 million interactions, over a million unique visitors, half a million shares and a major rage in the country. All this, and not a single #Hashtag.